Why Is Recycling Important To Us? As a dumpster rental company, we are committed to using others people waste to make the world a better place. Our company is among other things very passionate about waste management and more importantly recycling. Even though the importance of recycling was noted a while ago, still many people could do more to contribute to the situation and make this world even better for all of us. Using the services which our company offers to you, you can rent dumpsters which will allow you to make a difference in the world by recycling more efficiently and effectively. If you would like to learn more about these possibilities, read on! As you probably know PET, packaging can be reused and recycled. It is why it is important to use special dumpsters which allow the safe collection of PET and waste services that will distribute the PET further to places in which it can be safely recycled. Many people would recycle, but they lack the knowledge or the means how to do it, and this is where our company steps up to the task. We will provide you with sufficient advice and knowledge that will allow you to recycle your PET waste and ensure that you make a change in the world you want to see. There is nothing easier than renting a dumpster for PET at our company. Just make sure that you know what your waste capacities are, and we will take care of everything else. We can make any arrangements which will be suitable for your household, apartment building, company, hospital, business or any organization it is that you are running. Moreover, we would like to inspire you to inspire others and continue to be an ambassador for recycling. If you still do not know what low impact development refers to, it is high time that you learned more about it. Low impact development is not just some latest fad; it is probably the best way for us to save and conserve our environment. As a dumpster rental company with a long experience in this business and an outstanding reputation, we are committed to making this world a better place through recycling and low-impact development. We appreciate and support any ideas which might make this world a healthier place to live and leave it better for our future. We can start to change the world from this day on, to leave it in a better state for the future. Many people do realize this. Still, they do nothing to change the existing situation. It is perhaps many people believe that they on their own cannot right all the wrongs. However, you can be a start to change that you would like to see, and since the environment is tremendously important, perhaps we could start there. Your contribution might be small, but it is by no means insignificant. Each step we take towards healthier life through the more efficient disposal of waste is a step forward. Make sure you use your example to inspire others to devote more attention to waste management and low impact development. 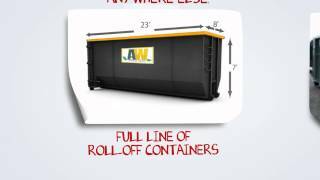 It is what we are passionate about as a dumpster rental company. We would want to inspire you to inspire others to take more notice of the world we live in and start to change it for the better. If we are all committed to making a difference, the changes will certainly come in due time and results will follow. There are numerous situations in which people will need to rent a dumpster, and if you are in Los Angeles, you will find yourself more than once in such a situation. However, living in a large and busy city such as Los Angeles means that using a dumpster rental might be a little bit complicated well not if you use our services! We have more than enough satisfied customers that justify our reputation. 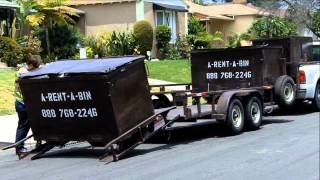 There are numerous reasons why dumpsters’ rental is sometimes the best thing you can do for yourself, and there are many occasions in which using the services of a rental might come in handy. The use of a dumpster is common in situations such as owning your own business or school. It is also common to rent a dumpster for apartment buildings, industrial sites, and offices. The use of a dumpster is to store the garbage which is later on safely disposed of. There are many areas in which dumpsters must be used, because there are no communal dumpsters, and these are the situations in which people commonly rent dumpsters for these specific purposes. The use of a dumpster is quite common and very practical because it will allow you to manage the waste and dispose of it in the most efficient way. Dumpsters can also be used for recycling, and it is probably the easiest way to manage your recycling. Whether you have a small business or if you are running a school, managing waste and recycling should be your priority. You are making the change in this world in this way, and the services are also very affordable. There are many Los Angeles dumpster rentals. However, we offer you the best service regarding price and of course our expertise. We offer regular rubbish removal by our services and the use of the safe garbage trucks. Also, you can choose the size of the dumpster and find what works for you.